Even with added supply, rents are now forecast to increase by a further 17pc over the next three years in Dublin, according to new research from Savills. The lucrative rents are a key reason big investors will continue piling into the market. These have been described as “cuckoo funds” because they snap up accommodation before individuals get a chance to purchase. It is a trend that is locking many working families out of buying their own homes. The research shines a fresh light on the scale of the emerging private rented sector (PRS). Large-scale corporate landlords spent more than €1.1bn in Ireland last year, two-and-a-half times higher than the previous record. The 2,923 units snapped up in “block purchases” last year was five times greater than in 2017. 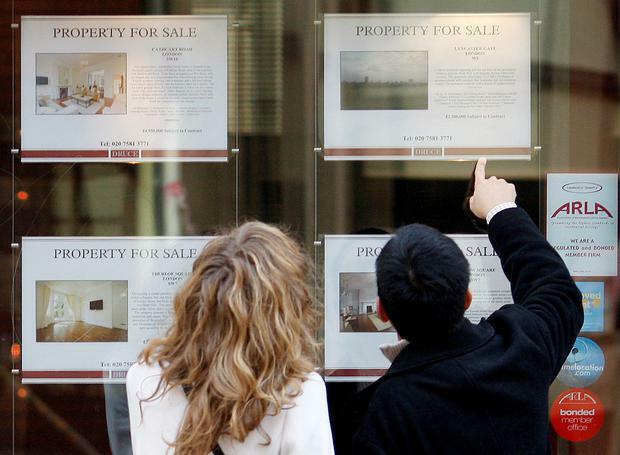 “Rising house prices and tight mortgage lending have driven a big shift from owner-occupation to private renting,” said Dr John McCartney, Savills director of research. Last year, 11pc of all homes bought in Dublin were bought by such funds, but a fifth of what they bought was outside the capital, Savills found. Such investment helped boost housing supply. Builders can recycle funds from schemes sold in a single lot into new developments faster. But it comes amid growing anxiety about the implications of a heavily financialised housing market. Corporate investors were behind 11pc of all residential units bought in Dublin last year, according to new research from Savills, and they have an increasing presence beyond the capital. The increased level of investor activity is helping boost overall housing supply, it found. More supply should help ease rent pressure eventually, but in the meantime the research points to continued pressure and more rent hikes. Dr McCartney said the residential market was likely to remain undersupplied until at least 2022. High house prices and tight lending rules mean that supply that is built is increasingly less likely to go to first-time buyers. The declining share of homes going to owner occupiers adds to the upward rent pressure, the report said. In Dublin, 26.7pc of households now rent privately – up 10.8pc over the past year. Savills’ forecast is for compound rental growth of 17.3pc in Dublin over the years to the middle of 2021, and it says that growth is what is driving the surge in investor appetite. The rises are expected despite Government rent caps that limit increases to 4pc a year, but they only apply to existing properties. Since 2012, when the likes of US-based Kennedy Wilson and its peers first emerged as players here, almost 10,000 housing units have been bought by corporate investors. The Savills’ research shows investment by big funds has helped boost overall housing supply, including by allowing builders to recycle funds from schemes sold in a single lot back into new developments. However, the trend has also sparked anxiety about the implications of a heavily financialised housing market. At the end of March, the United Nations special rapporteur on the right to adequate housing, Leilani Farha, wrote to the Government in Ireland as well as five other countries to raise her concerns. She accused the Government of facilitating investment funds to buy up vast swathes of properties including through preferential tax laws and weak tenant protections. “Almost overnight multinational private equity and asset management firms like Blackstone have become the biggest landlords in the world, purchasing thousands and thousands of units in North America, Europe, Asia and Latin America,” the UN said. A new research paper last week by economists connected to the ESRI, ‘Exploring Affordability in the Irish Housing Market’, focused on the vulnerability of renters in the private rented sector. It found private renters living in Dublin and surrounding areas, along with low-income households, are paying a significantly higher proportion of income on housing payments. Savills’ analysis suggests housing shortages will persist until at least 2022, bad news for renters and good news for landlords.